The aim of these lectures is to demonstrate the close connection which exists between methods of denoting relationship or kinship and forms of social organization, including those based on different varieties of the institution of marriage. 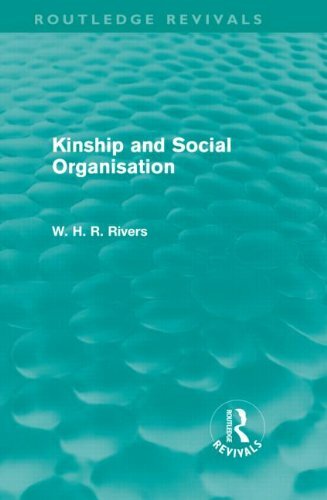 In other words, my aim will be to show that the terminology of relationship has been rigorously determined by social conditions and that, if this position has been established and accepted, systems of relationship furnish us with a most valuable instrument in studying the history of social institutions. To the age-old debate over what it means to be human, the relatively new fields of sociobiology and artificial intelligence bring new insights. What have these two fields in common? Have they affected the way we define humanity? This book presents an entirely new approach to the analysis of human behaviour. It reverts to the bedrock evidence of human history, and prehistory as mirrored in primatology, to construct a user friendly text which readers can readily understand.